The Holiday season is approaching at lightning speed. Savvy foodies can gift and be gifted with Sushi Den’s “Chef’s Table Omakase” and Izakaya Den’s “Sushi Making Class”. These gift cards are perfect for friends, loved ones and colleagues, and yourself. Recently named one of the top Omakase in the United States, Sushi Den’s Omakase menu has gained national recognition for its fresh and authentic selection. Available on Friday and Saturday nights, it is a unique sensory-filled experience upon entering the peaceful, private space called “Denchu”. 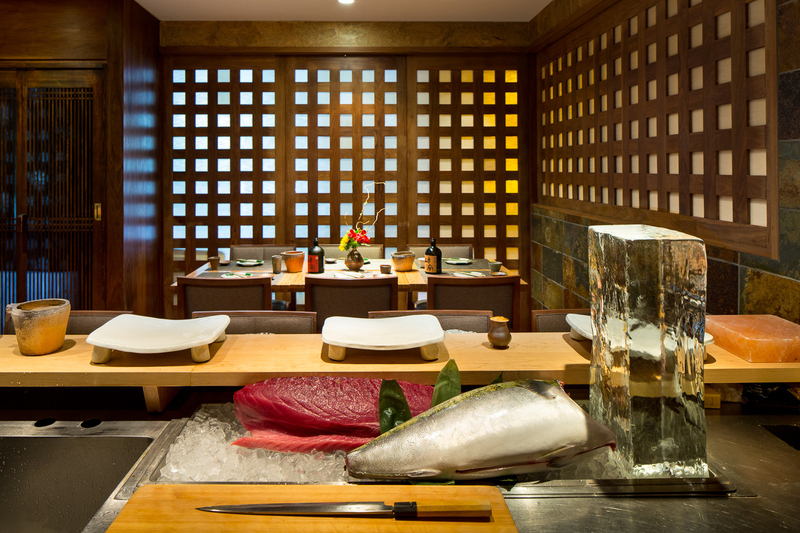 A five course, sushi menu is specially created by master Toshi Kizaki. “Catch of the Day” arrivals, direct from Japan include pristine sushi and nigiri, Aburi Toro, Spanish Mackerel, and New Zealand house smoked salmon, which rotate based on availability. Traditional Japanese techniques and family recipes are expertly intertwined throughout the menu. “Chef’s Table” will only be offered Saturday nights in December, and resume the regular schedule in 2019. Be sure to check the Chef’s Table Schedule due to limited availability. Reservation required and can be made HERE or via email chefstable@sushiden.com. Hosted by Den Corner chef / owners Yasu and Toshi Kizaki, you will learn how to create all styles of sushi rolls and nigiri sushi in an interactive way. Credited to helping pioneer the Denver sushi scene, the Kizaki brothers adhere to only using the highest quality of fresh fish. Seafood is received direct from Japan from their other brother, Koichi, who lives in Nagahama and visits the fish market daily. Gift a friend or loved one to spend a delicious evening learning how to make all styles of sushi. Guests sit together following class to enjoy 20 pieces of handmade sushi, miso soup and green tea. “SLICED” is held at Izakaya Den’s private dining room Tuesday and Wednesday nights. Check the Sliced Schedule to book in advance, as these classes sell fast. Private group sushi classes are also available creating fun and delicious birthday parties, client entertaining, team building and more.